Rediff.com » Business » Home loan at 4 per cent! Should you go in for it? Sanjay Kumar Singh speaks to experts to find out if Tata Housings new loan offer should interest you. Tata Housing has partnered with Indiabulls Housing Finance to offer home loans at 3.99 per cent in its 11 ongoing projects. (Currently the lowest home loan rate available is 8.25 per cent by Dena Bank). This special rate will apply for five years, after which the prevailing home loan rate will kick in. Indiabulls Housing Finance currently charges 8.35 per cent and above on its home loans. Prospective home loan borrowers need to weigh the pros and cons of this scheme before opting for it. Owing to the slowdown in the housing market, developers and housing finance companies are combining forces to come up with attractive offers that get fence-sitters to commit to a purchase. Tata Housing will fund the difference in interest cost for the first five years. This offer will reduce the customer's interest cost, as the following example illustrates. 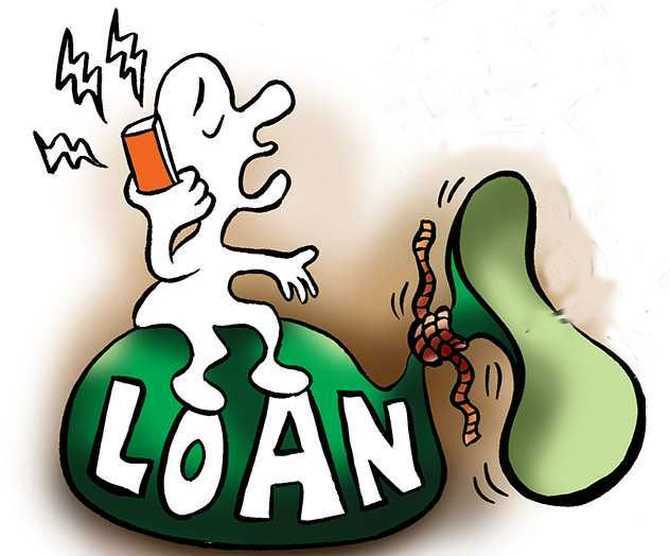 Suppose a person takes a loan of Rs 30 lakh for 20 years at an interest rate of 8.35 per cent. Her equated monthly instalment (EMI) will be Rs 25,750 and her total interest cost over the entire loan tenure will be Rs 31,80,240. Now, if the buyer opts for this scheme, her EMI during the first five years will be Rs 18,179. After five years, her EMI will rise to Rs 23,986. Her total interest cost in this case will be Rs 24,08,329. This scheme will thus enable her save Rs 7,71,911 over 20 years (Actual savings will be different as interest rates will vary over the loan tenure). Says Ajay Mishra, vice-president and business head-secured loans, Paisabazaar.com: "Lower interest rates will translate into lower EMIs. As many of the prospective borrowers would be staying in rented accommodation till the completion of these projects, the reduced EMI burden will help them manage their cash flows better during the construction period." Experts suggest home buyers should first check out the product. "First decide whether you want to buy in any of those 11 projects. Do you like the location and the specifications? Only if you like the project should you consider the offer," says financial planner Arnav Pandya. Experts say there is a psychological ploy involved in these offers. "Since the level of unsold inventory in the market is high, buyers negotiate hard these days. Offers like these are also a ploy to soften you up before the negotiations have begun. Since they have made an initial concession, you are expected to reciprocate by not negotiating further on the price," says Deepesh Raghaw, founder, PersonalFinancePlan.in, a Sebi-registered investment advisor (RIA). "First negotiate with a builder to get the best price and then with a bank to get the best rate on the home loan," he adds. Check out the other projects in the vicinity of the 11 Tata Housing projects. See what the price and bank interest rate, and hence your EMI, will be in them, then compare with the Tata Housing-Indiabulls Housing Finance offer. Only if the latter is better should you go for it.